The ARX COMPO™ is a unique compressor/limiter designed for use in any professional audio dynamics control application, packaged in a compact 1 RU chassis. The COMPO operates as two independent compressor/limiters, with 'industry standard' variable Threshold, Ratio and Output gain controls. 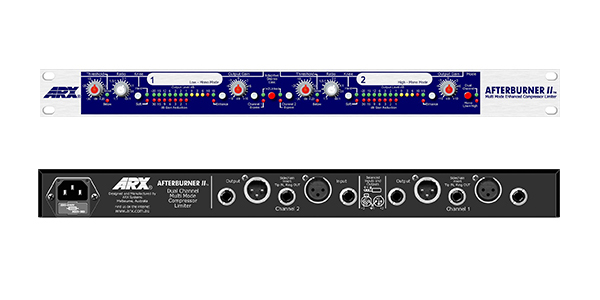 A Stereo Link switch on the front panel lets both channels track as a stereo pair in a Master/Slave configuration. Balanced XLR Input and Output connectors. Balanced TRS jack Input and Output connectors. AC input connector, with voltage switch and fuse.